Oklahoma Connection | Walker moved to Oklahoma Territory in 1889, at the age of 18 to work as a drug salesman. Edward A. Walker was born and raised in Illinois and worked as a correspondent for a small-town newspaper at the age of 12. After graduation, he spent a bit of time in Oklahoma Territory as a drug salesman before working in Tennessee as a journalist and eventually entering the University of Texas Law School at Austin. He earned his law degree in 1896 and returned to Oklahoma Territory to set up his law practice, after spending his last $5 to buy law books. His first case was a divorce for a farmer who gave him an old gray mare as his payment, which Mr. Walker used as his first investment for horse-trading. He began trading horses for banks, a lucrative business. 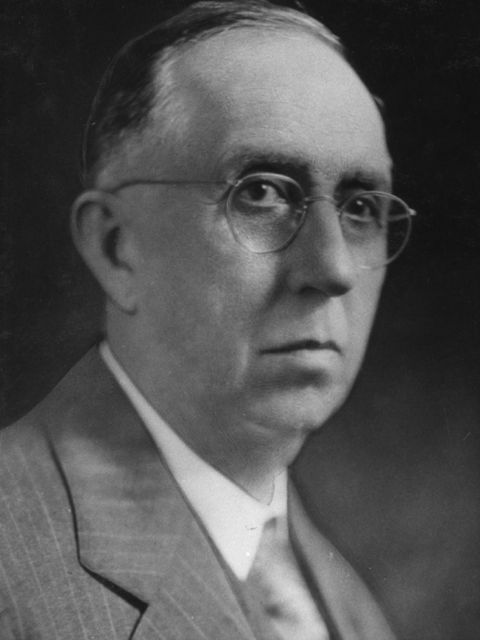 Mr. Walker moved to Oklahoma City after residing in Ardmore as an attorney for 18 years and began serving as the president of the Tradesmen’s National Bank. When he was recognized by “Who’s Who in Oklahoma City in 1931,” Mr. Walker was said to have had the largest real estate holdings of any individual in the state. A 12-story residence hall for men in Couch Center on the OU campus was named in his memory.